As the store manager of a high street clothing giant, Ian Cooper, 35, is usually rushed off his feet. Ian has worked for the company for two years, having started his retail career with a high street chemist straight after college. Indeed, Ian was quickly promoted and gained an assistant department manager position within two years. After a couple of years in this role, Ian was keen to see what other retail opportunities were available in order to make sure he did not pigeonhole himself in the chemist and pharmacy sector. 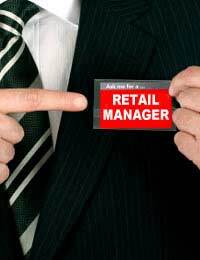 As he had enjoyed the clothing merchandising module of his BTEC, Ian applied to assistant manager roles in a few high street clothing stores, including ones which he knew had a very good reputation for continued professional development. As a result of his recruitment consultant approaching the high street clothing store that Ian had identified as offering his preferred environment, he gained an interview. The company was recruiting at his level, but only in a branch some sixty miles away. He was offered a second interview to meet the current manager of the branch and subsequently was offered the role of store manager. Ian has flourished in his role as manager and continues to gain credibility at head office, thanks to his store increasing its sales and consistently hitting target. Ian plans to stay with the company for some time as he hopes to be offered a position as manager of a flagship store within the next two years.